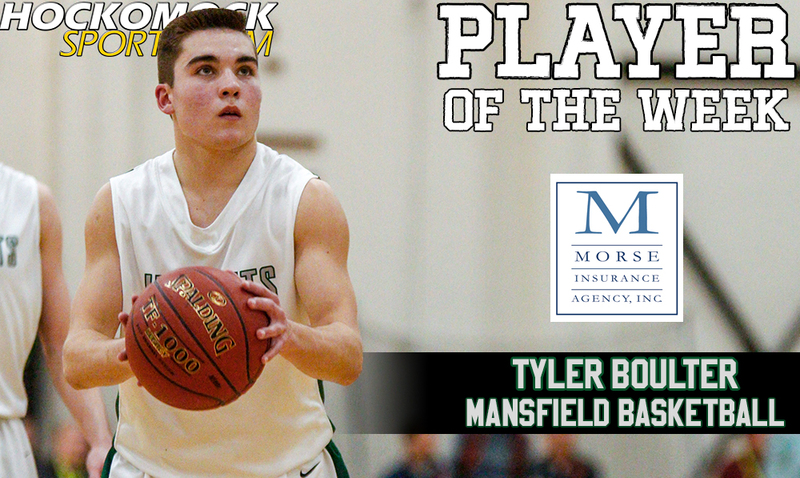 Mansfield senior Tyler Boulter has been selected as the HockomockSports.com Player of the Week, presented by Morse Insurance, for Feb. 25 through March 3. Boulter is the 22nd player selected for the 2017-18 school year and 12th player chosen during the winter season. Boulter put in a dominant individual performance on Saturday evening against BC High in the Div. 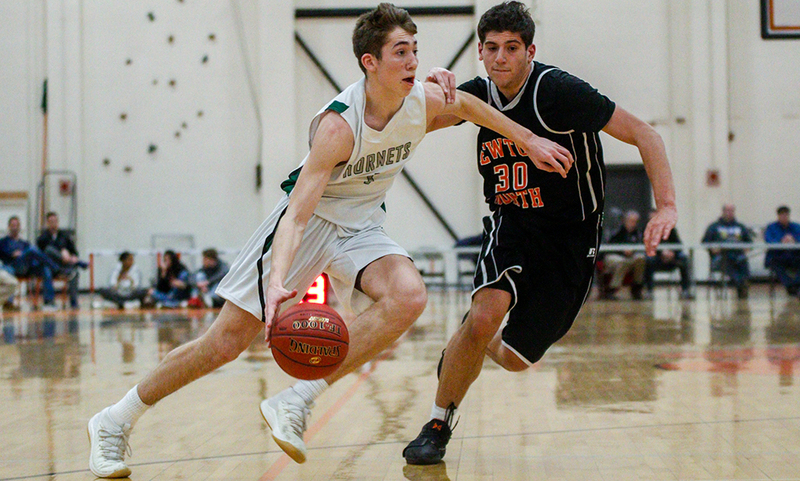 1 South quarterfinal at Taunton High to help the Hornets avenge one their two losses this season and advance to the sectional semifinal. 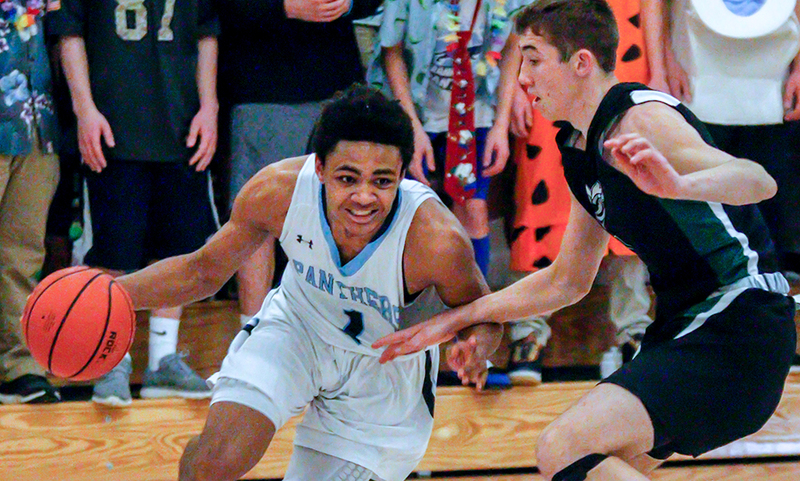 He posted a career-high 35 points in the quarterfinal, knocking down eight three-pointers and shooting 13-of-16 from the field to knock out the Eagles. 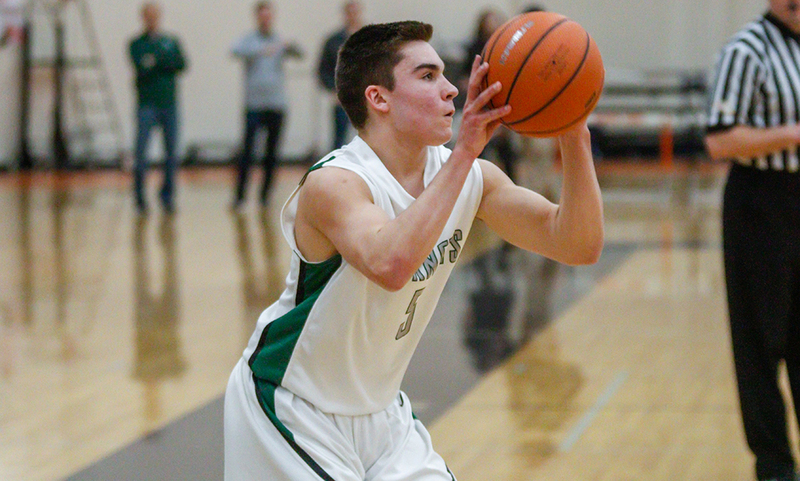 Boulter started the week with 13 points against Newton South to kickstart the Hornets’ tournament run. 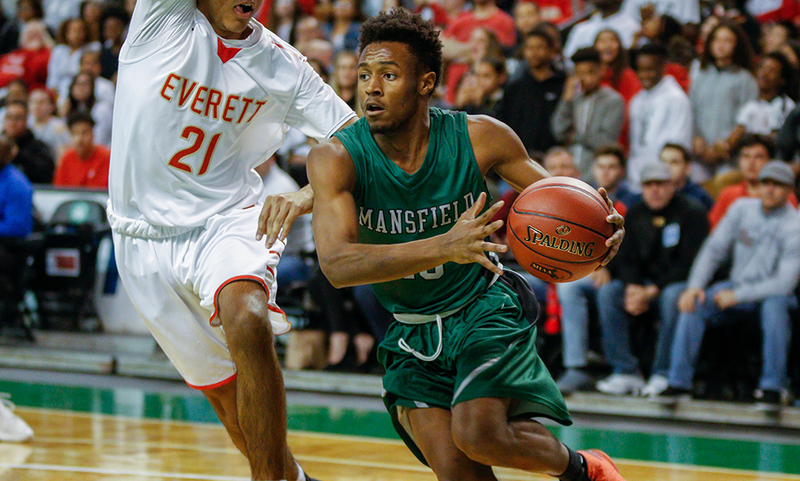 Mansfield, the top seed in the South, then faced BC High seeking revenge for a loss in December. Boulter, who missed the first meeting between the two teams, missed his first shot of the night but knocked down a pair of threes in the opening quarter to get off to a strong start. 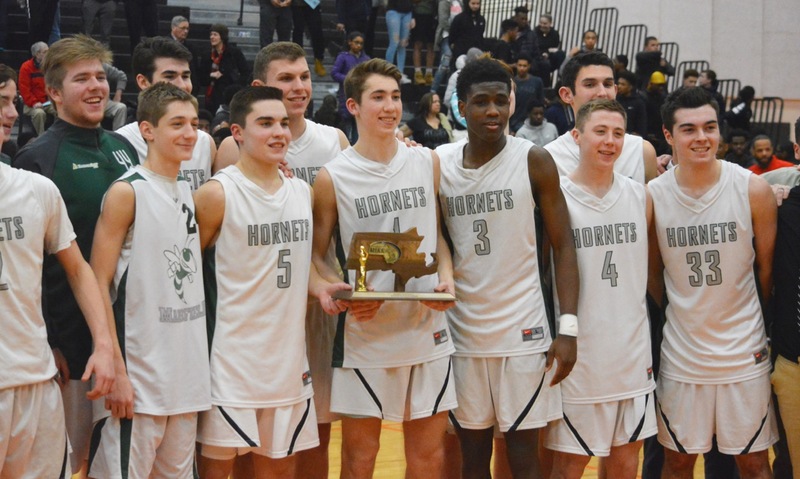 He had an answer for every run that the Eagles made, avoiding the second half comeback that allowed BC High to win the first game between the two teams, and lifted the Hornets to another South semifinal.